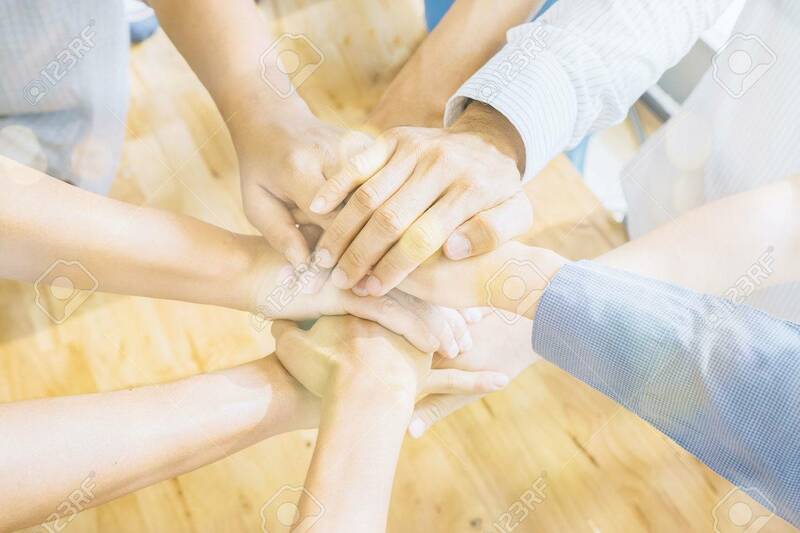 Teamwork Concept.Business Team Standing Joining Hands Together In The Office.Group Of Diverse Multiethnic People Partnership Participation. Selective Focus,vintage Color Banco De Imagens Royalty Free, Ilustrações, Imagens E Banco De Imagens.. Image 80700022.